Twenty-three years ago, Kelly Bouldin Darmofal was grievously injured when a routine trip to Burger King resulted in a car colliding with a telephone pole. Her traumatic brain injury (TBI) resulted in a coma and severe learning disabilities which she eventually overcame through perseverance, re-education, and of course the love from her family and friends. Follow her amazing journey in her new memoir LOST IN MY MIND from Modern History Press. Also, visit the author’s website for more interviews, links, and details. 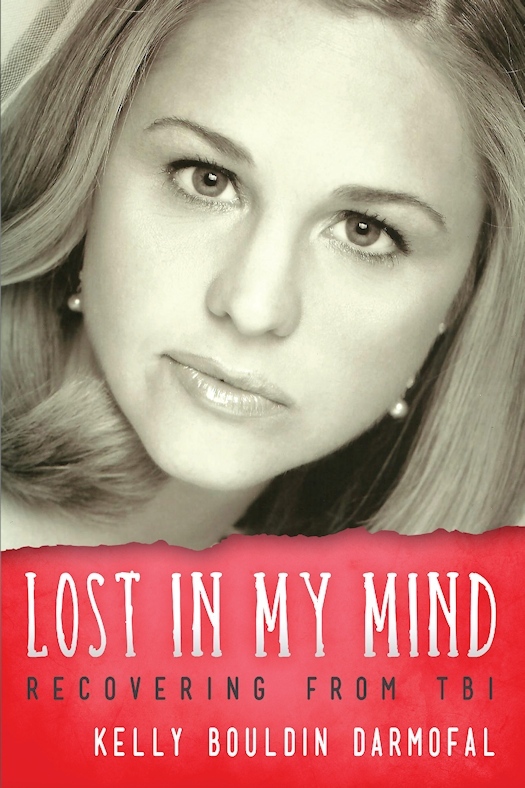 Lost in My Mind is a stunning memoir describing Kelly Bouldin Darmofal’s journey from adolescent girl to special education teacher, wife and mother — despite severe Traumatic Brain Injury (TBI). Spanning three decades, Kelly’s journey is unique in its focus on TBI education in America (or lack thereof). Kelly also abridges her mother’s journals to describe forgotten experiences. She continues the narrative in her own humorous, poetic voice, describing a victim’s relentless search for success, love, and acceptance — while combating bureaucratic red tape, aphasia, bilateral hand impairment, and loss of memory. Learn why TBI is a “silent illness” for students as well as soldiers and athletes. Discover coping strategies which enable TBI survivors to hope and achieve. Experience what it’s like to be a caregiver for someone with TBI. Realize that the majority of teachers are sadly unprepared to teach victims of TBI. Find out how relearning ordinary tasks, like walking, writing, and driving require intense determination. Jewel Kats reads Cinderella’s Magical Wheelchair!